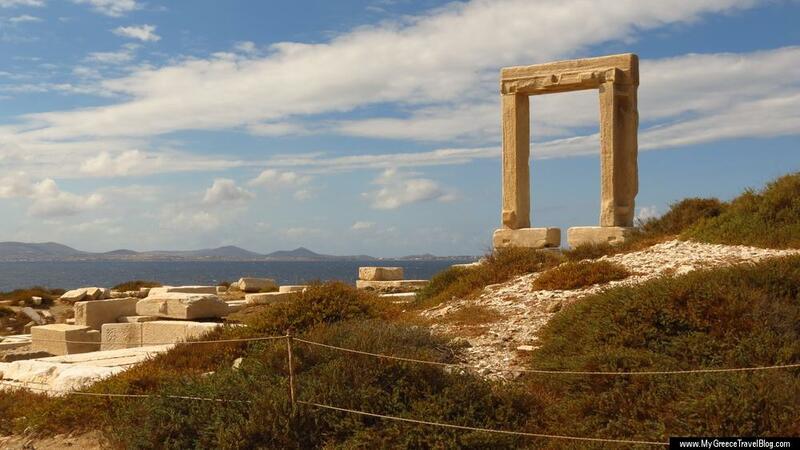 The enormous marble entrance for the never-completed Temple of Apollo greets visitors arriving by sea at Naxos island in the Cyclades. Also known as the Portara, the monument is an internationally-recognized symbol of Naxos island. Something for everyone: If you’re trying to find a Greek holiday destination that ticks practically every box on even the pickiest traveller’s checklist of “must have’s” and “must see’s,” take a closer look at Naxos. The largest island in the Cyclades, Naxos is equally big on the number of activities and attractions it offers visitors of all ages and lifestyles. From beautiful beaches to mountain villages; a vibrant port town with an historic castle and Old Market district; monuments, ruins and museums; excellent dining and nightlife; accommodations to suit any budget; walking trails, water sports and mountain biking; stunning scenery and sunsets; plus sightseeing excursions and tours both on and off the island, Naxos has it all. Whether you’re planning to visit for three days or three weeks, you’ll never run out of things to do — if anything, you’ll probably wind up wishing you had more time to spend on the island. What’s more, Naxos is surprisingly easy on the pocketbook, with reasonable prices for food, accommodations and entertainment. All those are precisely the reasons why we named Naxos as our Greek Holiday Destination of the Year for 2013 (see our December 31 2013 post for more about that). Click on the link below to continue reading and to see dozens of photos illustrating our Top 15 reasons to visit Naxos. Excellent blog and photos ! Wow! Thank you for such an in-depth post about visiting Naxos. I’m planning my first visit with my 16 year old daughter beginning on June 11, 2014. Do you know anything about a new hotel called Mitos Suites at Agios Prokopios? Would love some advice about staying there from someone who knows the area. Hi Donny, thank you for your wonderful site. It’s been instrumental in our decision-making process regarding which island to visit during our short stay in Greece. Really comprehensive and fantastic tips and observations! Thanks very much for the feedback! I’m delighted to hear the site has been useful for your holiday planning. 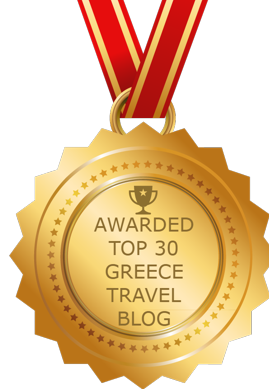 My friend and I are going to Naxos (because of your blog!) next week for 2 days and we are trying to plan our activities. Would you be able to give us some suggestions? I was more than happy to uncover this great site. I wanted to thank you for ones time due to this fantastic read!! Great blog! So informative! I cannot wait to go to Naxos in June and experience all the amazing places I just read about. Thank you so much for sharing. June cannot come soon enough! Wow!! Great post, I can’t wait to visit Naxos in ten days :)))))))))))))))))!!!!!! Fantastic information for Naxos. So looking forward to going for first time next week(26th May2015) for a week with my wife. Both senior citizens from the uK. Loved the video about the bus trip. A definite must do for us! Have a wonderful time on Naxos, Peter …. please let us know how it went once you’re back! Hello, I will be naxos in the first half of September. What place to choose for the wind to be small: agios prokopios, agia anna or apollonia ???? Maybe some other ….